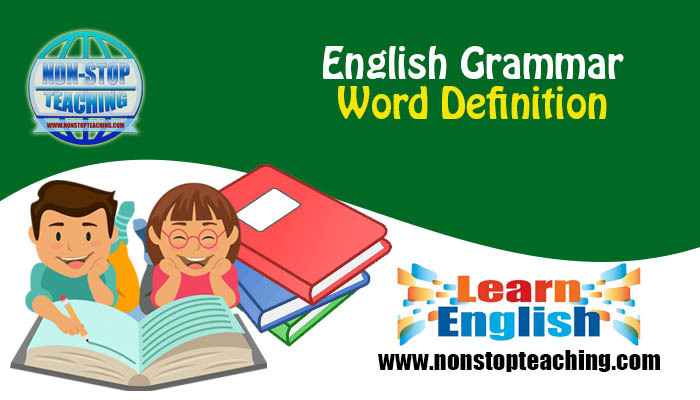 In traditional grammar, word is the basic unit of language. Words can be classified according to their action and meaning, but it is challenging to define. A word refers to a speech sound, or a mixture of two or more speech sounds in both written and verbal form of language. A word works as a symbol to represent/refer to something/someone in language to communicate a specific meaning. Example : ‘love’, ‘cricket’, ‘sky’ etc. Morphology, a branch of linguistics, studies the formation of words. The branch of linguistics that studies the meaning of words is called lexical semantics. There are several criteria for a speech sound, or a combination of some speech sounds to be called a word. There must be a potential pause in speech and a space in written form between two words. Every word must contain at least one root. If you break this root, it cannot be a word anymore. For example, the word ‘unfaithful’ has a root ‘faith.' If we break ‘faith’ into ‘fa’ and ‘ith,' these sounds will not be regarded as words. Every word must have a meaning. For example, the sound ‘lakkanah’ has no meaning in the English language. So, it cannot be an English word. In traditional grammar, word is the basic unit of language. Words can be classified according to their action and meaning, but it is challenging to define. A word refers to a speech sound, or a mixture of two or more speech sounds in both written and verbal form of language. A word works as a symbol to represent/refer to something/someone in language to communicate a specific meaning.